At least 10 times faster than print and measure, Planswift allows you to take off your quantities, mark up your drawings and export the results into a spreadsheet where you can add in material and labour costs. Used by house builders and all trades to take the pain out of estimating, Planswift sets new standards by using digital technology to import drawings, set scales and then produce figures for area and linear measurements as well as item counts. Every item is clearly shown so that you can see what you have measured (and what you haven’t). Supported by hundreds of ‘How To’ training videos, many of which are available while using the Planswift software for ease of reference. A FREE 14 day trial gives you access to the full version which we later convert into your perpetual licence for a one-off payment that is roughly the equivalent of 20 hours time from a junior QS. Bin the printing costs and start to enjoy estimating. PlanSwiftUK is the easy way of producing construction takeoff and estimates faster and with great accuracy. Just point and click! 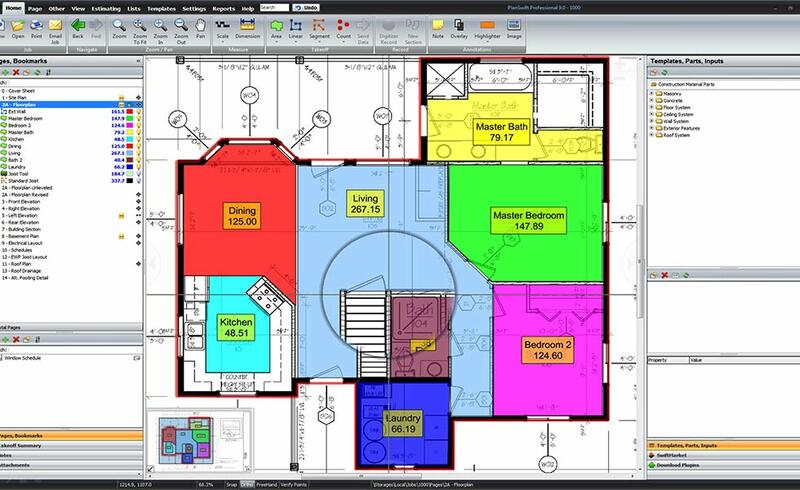 Planswift makes construction estimating at least 10 times faster than conventional methods by allowing you to use digital drawings even when they are out of scale when you receive them. Save money on printing and paper costs. 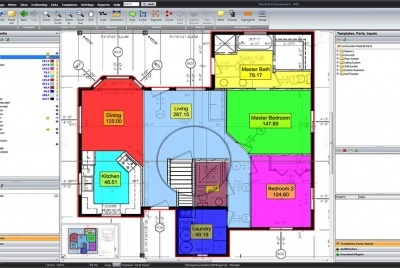 Calculates areas, linear measurements and item numbers and marks up the drawings for ease of reference.